The nonprofit Education and Social Empowerment Program, founded in 2009 by Kenyatta University professors Lillian and Mike Boit, helps bright Kenyan students from low and middle-income settings apply to elite North American colleges and universities. EaSEP's goal is to develop globally educated, open-minded, ethical leaders for Kenya's future. Now in its ninth year, the Nandi Hills-based program, has helped 65 students earn full-need scholarships at Cornell, Yale, Columbia, Wesleyan, Princeton, Smith, Harvard, Dartmouth, MIT, Duke, Northwestern, Penn, Pomona, Brown, Stanford, Cal Berkeley, Wellesley, Michigan State, Tufts, Amherst, Wisconsin-Madison, Maryland-Eastern Shore, Siena, St. Lawrence, Bryn Mawr and Mt. Holyoke. EaSEP provides SAT and TOEFL preparation, houses students for 14 weeks, pays for internet access, test registration and score reports, and helps students negotiate the college application process. The program uses field trips and community needs assessments to help students better understand critical issues in Kenya, such as health care, unemployment, education, sustainable farming and logging practices, and environmental stewardship. EaSEP is funded through private donations and grants/donations from the East African Scholars Fund and Eastern Produce Kenya, LTD. An investment of approximately $225,000 in EaSEP over nine years has produced scholarships valued at close to $16.5 million. 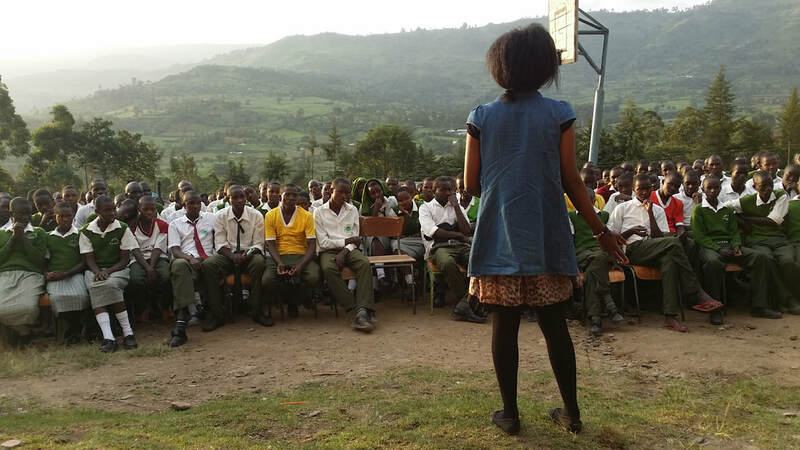 Photo: Tracy Wambui, EaSEP Class of 2017, speaks with high school students in Tinderet.